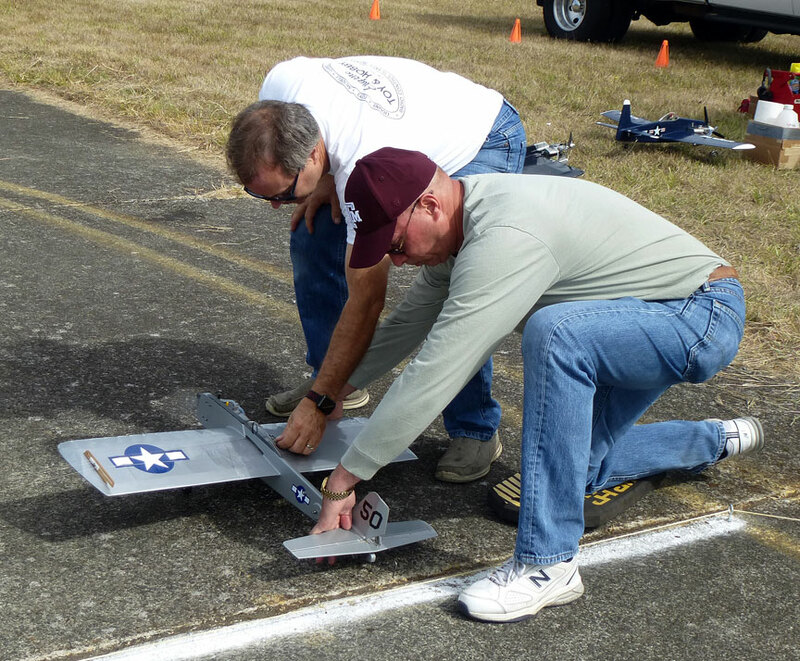 Make Haverly puts in a flight before judges Jim Johnson (left) and Jerry Eichten (seated) at the 2018 Raider Roundup. Mike Hazel photo. 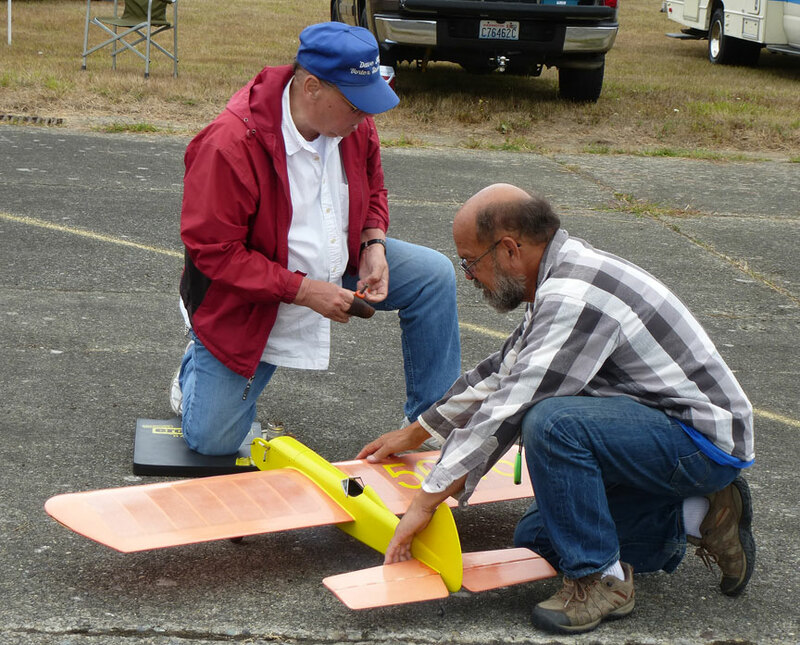 Sept. 8-9, 2018, Chehalis Airport, Chehalis, Wash. 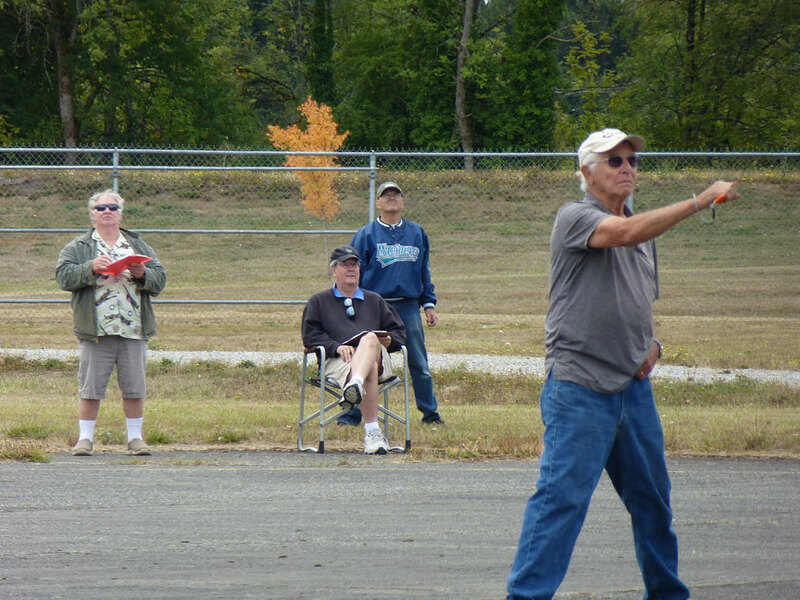 This annual event was once again held at the Chehalis Airport, and enjoyed pretty nice weather this year. Saturday was mild and Sunday was just slightly warmer but with some occasional breezes. It was manageable most of the time, but occasionally made things a bit more “exciting” for the Carrier guys. 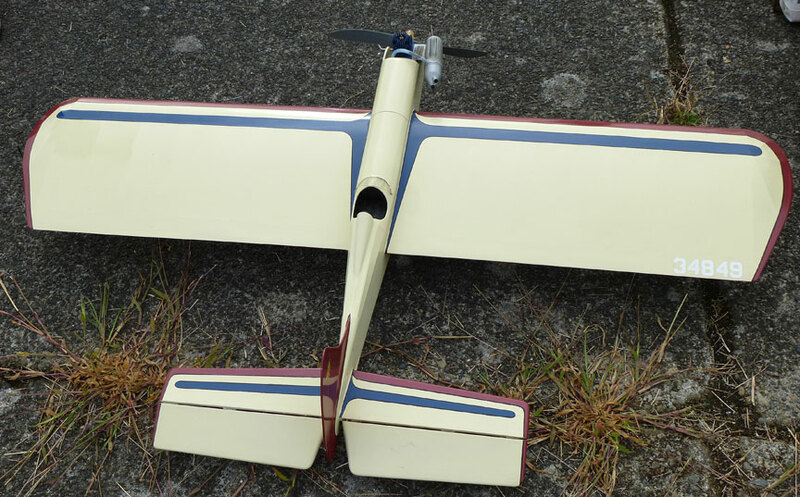 Entry level appeared to be close to the usual, and had the addition of NW Sport 40 Carrier event which had been canceled the previous year. Howard Rush was the contest director and also administered the Stunt events. 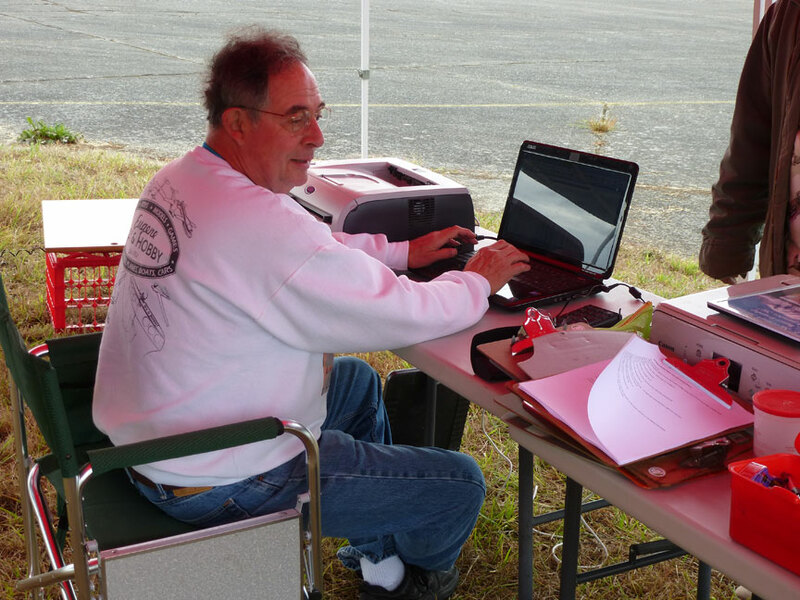 Mike Potter ran Carrier, and John Knoppi was the Combat event director. 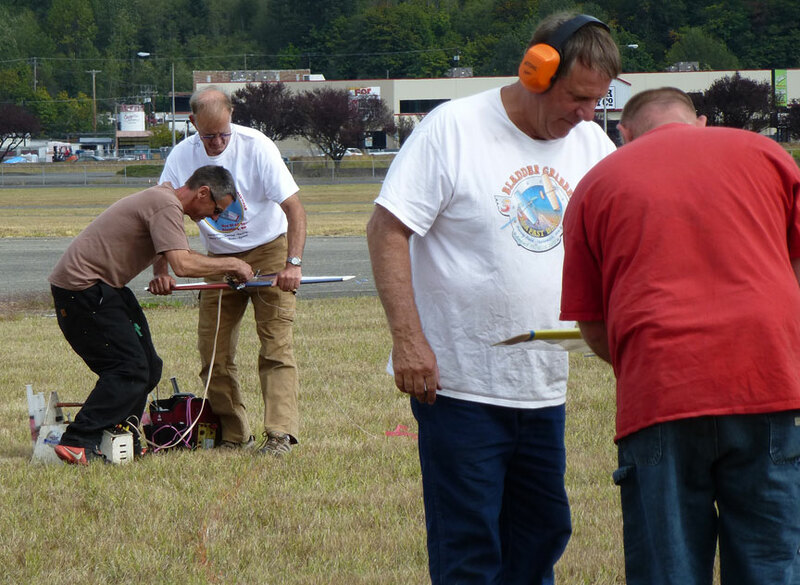 Others involved were: Mike Haverly, equipment toter; scoresheet running, Joan Cox and Robin Wescott; pull-testing by Mike Havenick and Tom Brightbill. And awards were sponsored by Gem Glover. Greg Machen was the winner of the special Crock Pot award, by virtue of his high placing in both Combat events. This special cash award honors the memory of R.F. “Steve” Stevenson who was one of the founders of the Skyraiders club. 5. 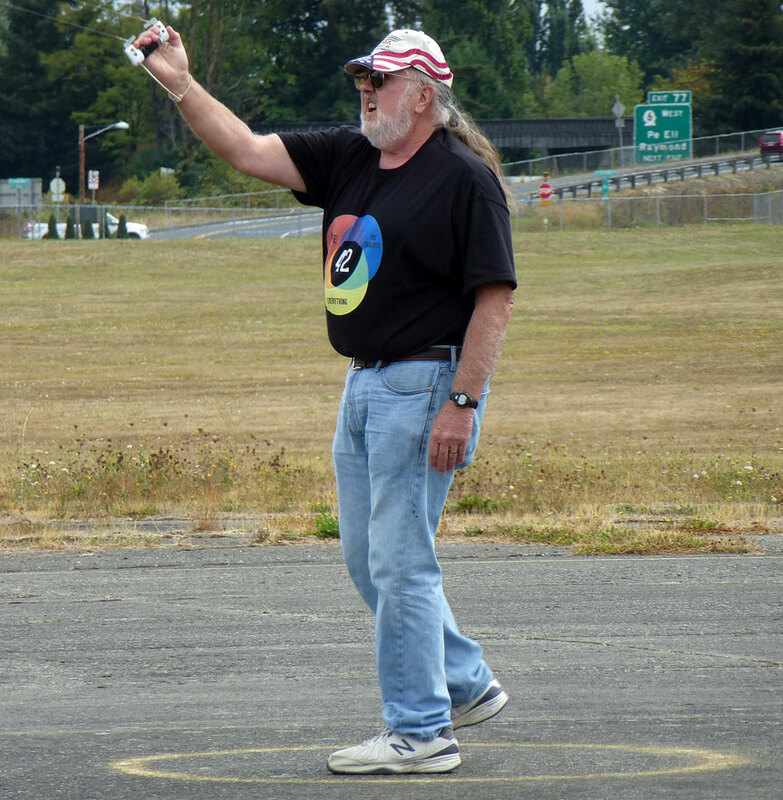 Jim Green, Olympia, Wash. 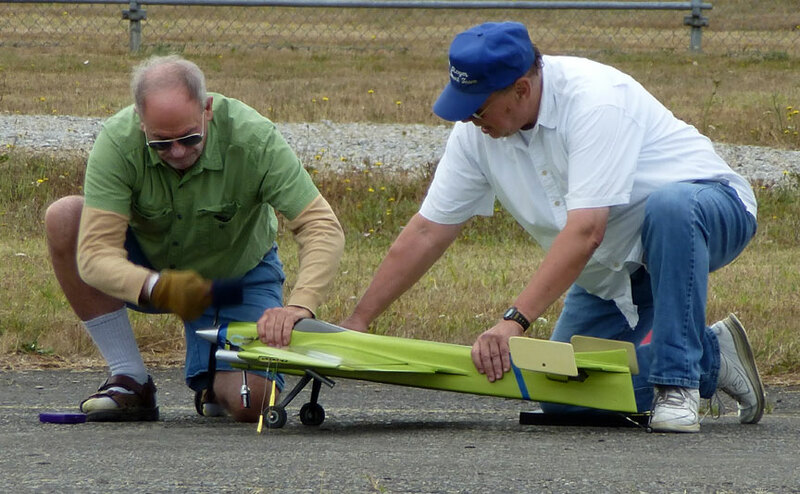 Teams get ready for a combat match: At left, Jeff Cohen prepares to start his engine while Jim Green holds. At right, Robert Smith holds for Greg Machen. Mike Hazel photo. 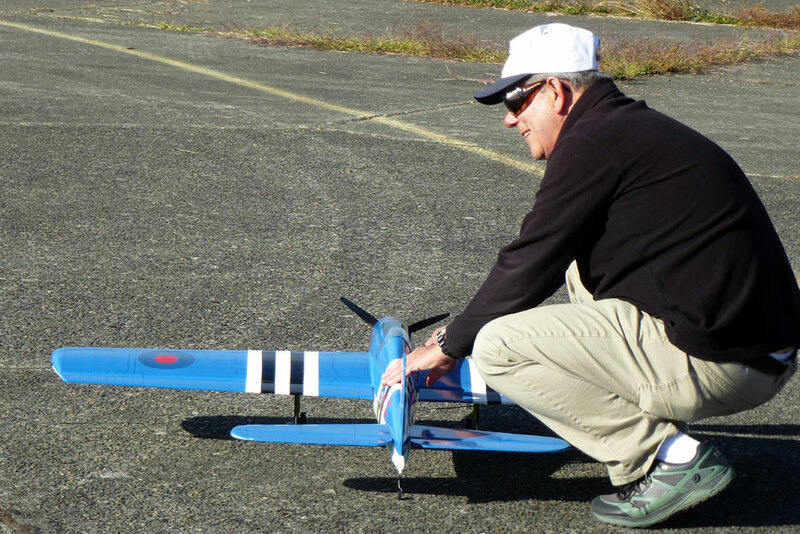 Paul Walker prepares to launch Chris Cox's Hellcat for a flight in Expert Precision Aerobatics. Mike Hazel photo. 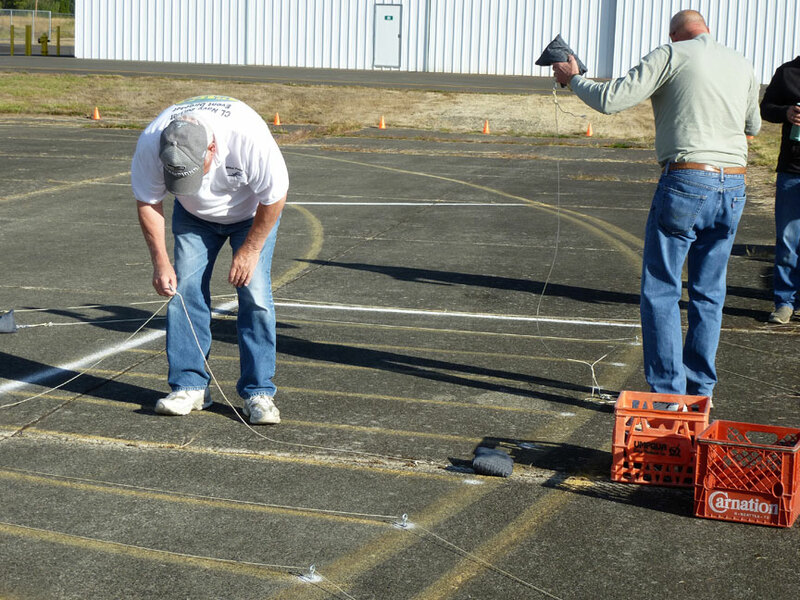 Mike Potter (left) and Steve Holt set up the arresting lines for the Navy carrier landings. Mike Hazel photo. 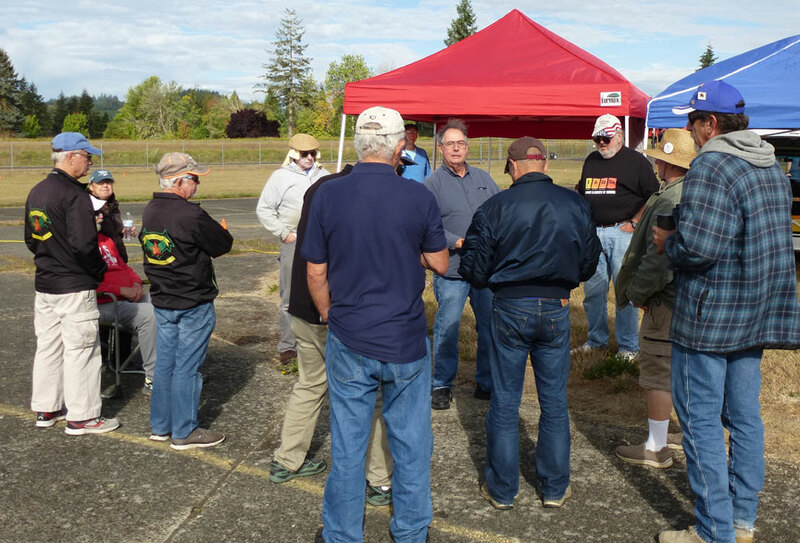 Howard Rush (center) conducts the Stunt pilots' meeting. Mike Hazel photo. Jim Green (left) and Buzz Wilson fight it out in an 80mph Combat match. Mike Hazel photo. 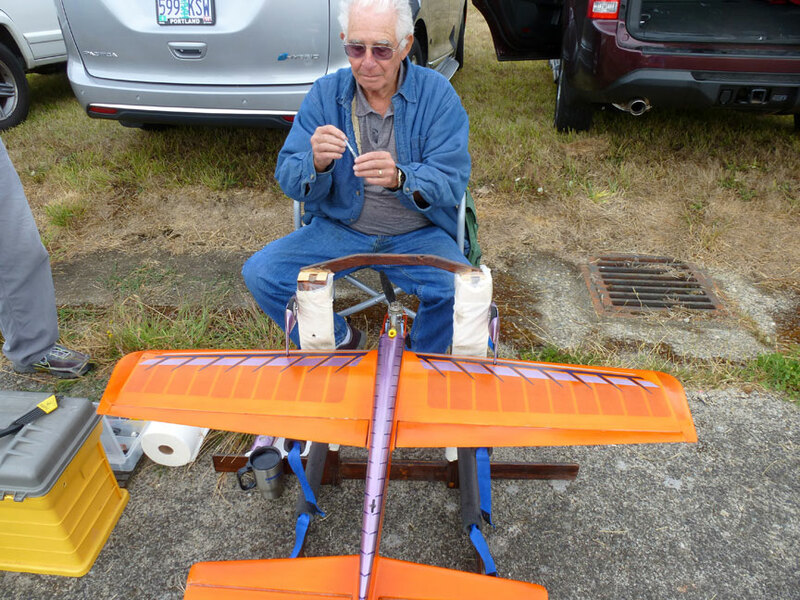 John Leidle starts the engine on his Classic Stunt plane as Dave Royer holds. Mike Hazel photo. 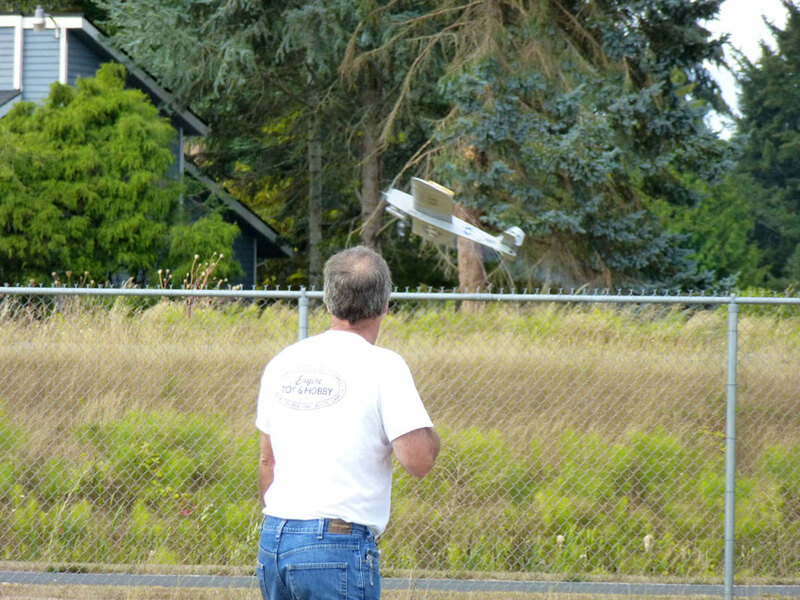 Bruce Hunt flies his Cardinal. Mike Hazel photo. 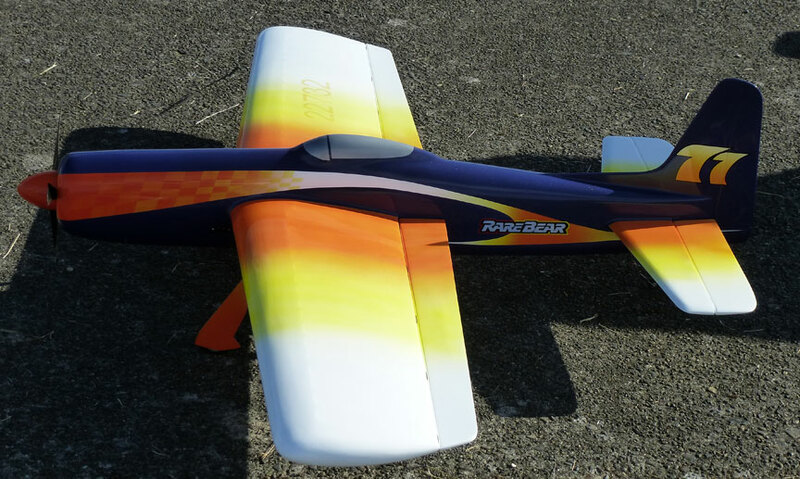 Alan Resinger's Rare Bear ready for action in Precision Aerobatics. Mike Hazel photo. 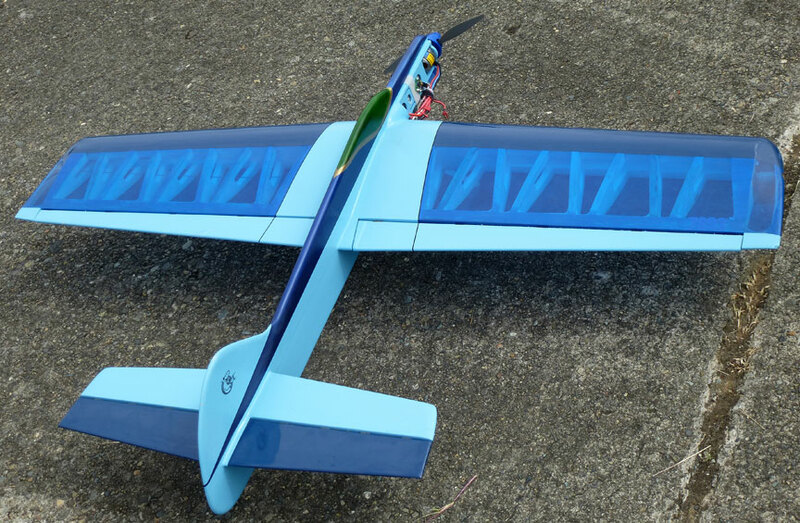 Jerry Eichten's electric Profile Stunt plane. Mike Hazel photo. 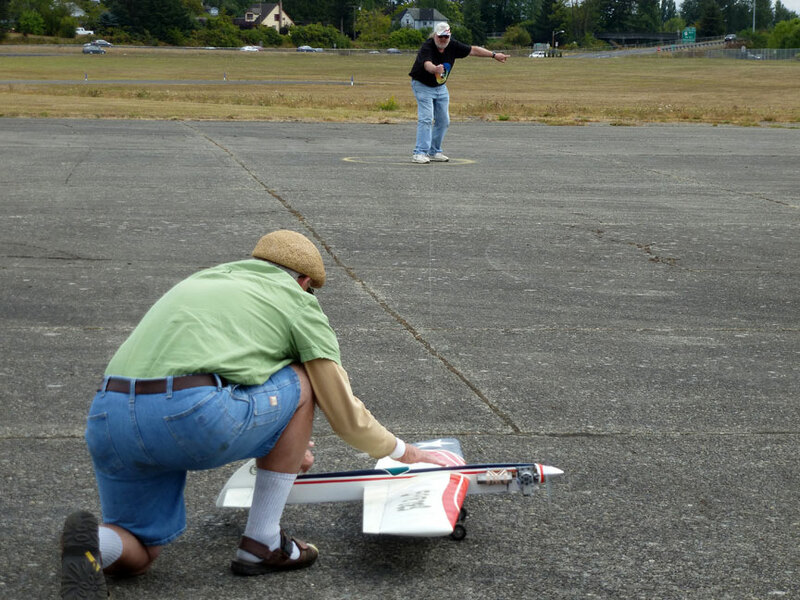 Kris Millard tunes the engine on his Northwest Sport 40 Carrier plane as Steve Holt holds ... Mike Hazel photo. ... and Kris makes the flight. Mike Hazel photo. 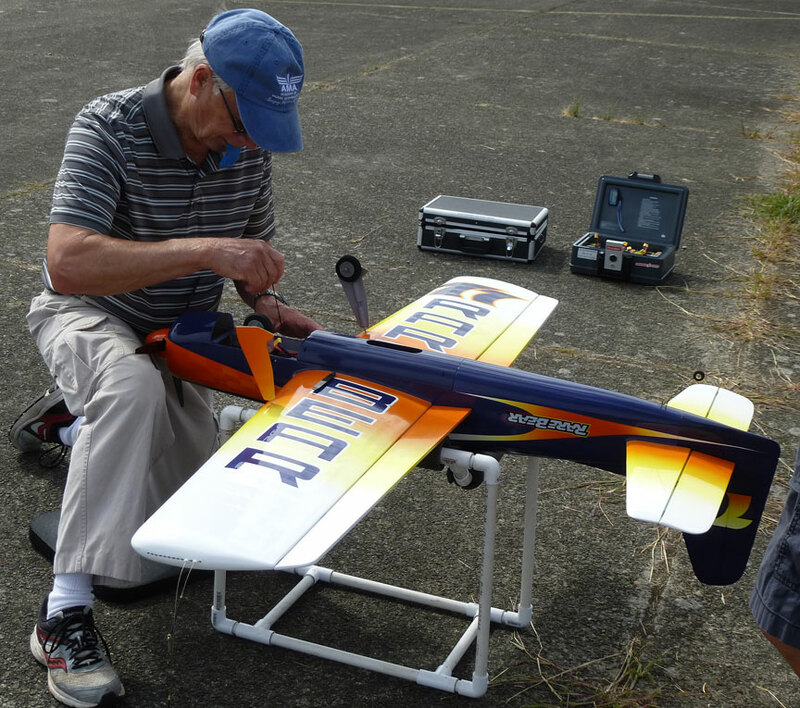 Alan Resinger installs a new battery in the Rare Bear. Mike Hazel photo. 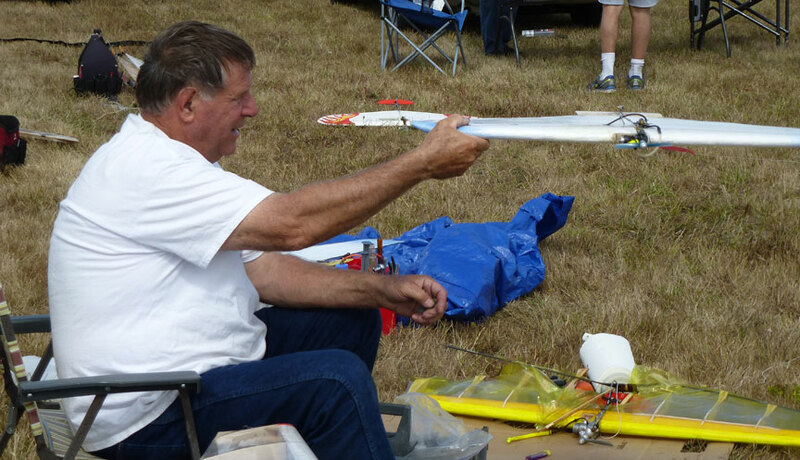 Robert Smith checks a Half-A Combat plane before a match. Mike Hazel photo. John Leidle launches Bruce Hunt's Cardinal. Mike Hazel photo. Tom Brightbill's Humongous for Old-Time Stunt ... Mike Hazel photo. ... and Dave Royer's Humongous. Mike Hazel photo. 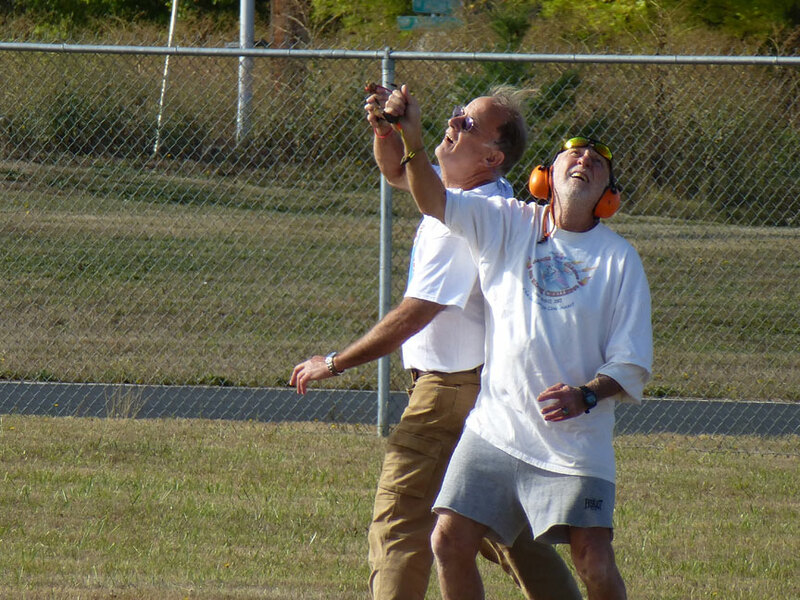 Mike Haverly works on his Chizler before a Classic Stunt flight. Mike Hazel photo. Contest Director Howard Rush at work in the computer lab. Mike Hazel photo. 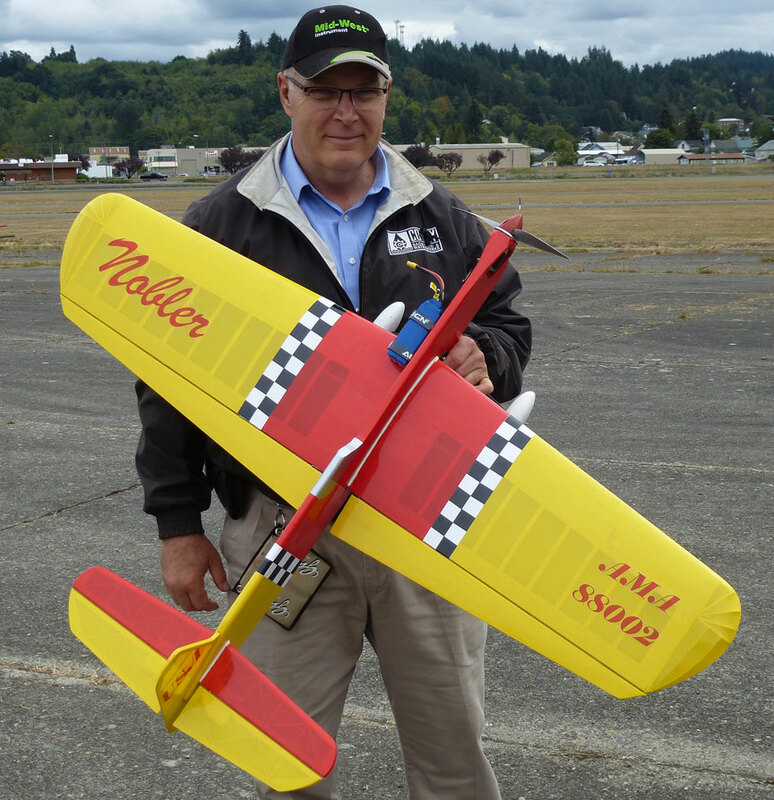 Tom Brightbill holds Dave Royer's Humongous before an Old-Time stunt flight. Mike Hazel photo. 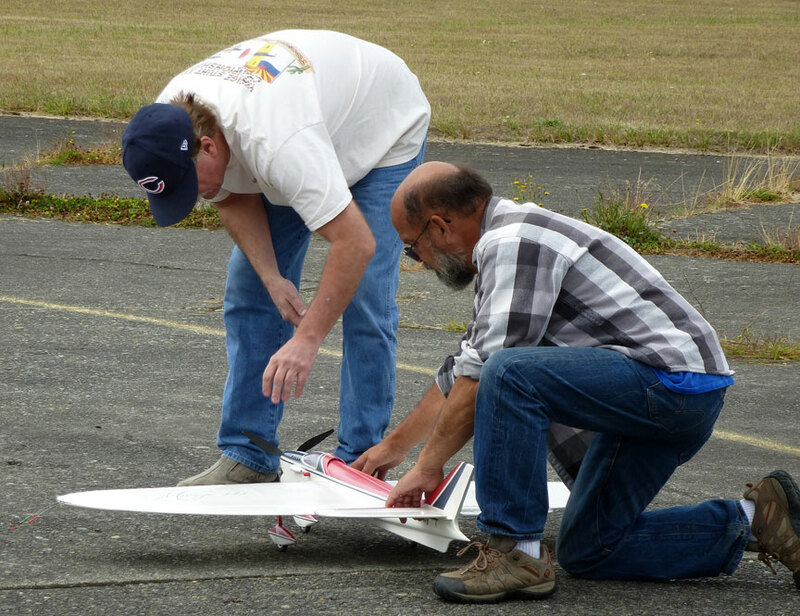 Randy Powell prepares to push the start button on his Mirage III as Tom Brightbill holds. Mike Hazel photo. Dane Covey with his electric Profile Nobler. Mike Hazel photo.